Looking for lots of space, excellent safety ratings, and plenty of features in your next family vehicle–and all at an affordable price? Then make the drive to your Southgate area Kia dealership to check out our lineup of used Kia Soul wagons for sale. The Soul is a spacious wagon with spacious seating for five and an abundance of cargo space, and recent versions are offered with advanced tech features like Apple CarPlay™ and Android Auto™, as well as a sunroof and heated leather seats. 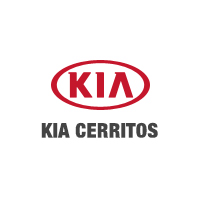 Find it all Kia of Cerritos today, where we have a number of used vehicle specials going on in Cerritos. Finance a Pre-Owned Kia Soul at Our Dealership Near Anaheim! Kia of Cerritos is your source for affordable used cars near Los Angeles, and you can also count on us for fast and affordable Kia service–including a rotating selection of Kia service specials. Come see us today at our dealership in Cerritos, or call us any day of the week at (562) 860-2424 with any questions about our used Kia Soul lineup!